No longer a place to run? Could Benjamin Netanyahu’s election alliance with the far-right and settler parties turn away Jews who might otherwise have viewed Israel as their natural place to run? A recent heartfelt telephone conversation with a British Jewish friend of mine proved utterly depressing. Yet again he expressed the very real fears felt by the British Jewish community in the event that Labour party leader Jeremy Corbyn ever becomes prime minister. Corbyn has seen a number of his MP’s resign in recent weeks, primarily as a protest against his failure to address anti-Semitic abuse directed at them, and hate-filled campaigns against Zionism and the State of Israel. But the likely next British leader, a man with a track record of pro-Hezbollah, pro-Hamas, and anti-Israel rhetoric, has done little, if anything of substance to remedy the situation. While the 0.3% of the British population that is Jewish might be genuinely concerned about Corbyn’s views on the subject, for the vast majority of the remaining 99.7% of the British public it isn’t an issue even close to the top of their priority list. The shambles that is Brexit, health and educations services, immigration, and infrastructure are, for them, far more pressing issues. British Jews, once nonchalant in their belief that Britain was a genuine safe haven, are becoming increasingly concerned. A growing minority are convinced that there may come a time, in the not-too-distant future, when they have to up and leave. Israel, of course, has for the last 70 years been considered the undoubted first point of refuge. 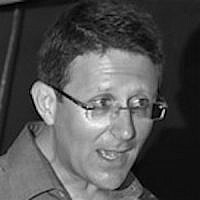 However, it appears that it is with growing dismay that many British Jews whose politics are moderate and whose religious observance is anything but extreme, view with horror the prospect of a Benjamin Netanyahu-led government that includes members of the extremist, far-right and settler parties. Many are appalled by those who sympathize, and in some cases are adoring of the late-Meir Kahane, whose Kach party was outlawed in Israel due to its brazen, racist ideology. 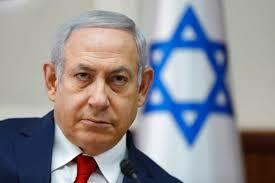 In his efforts to cling on to power at all costs and sustain the cult that is ‘Bibi’, Netanyahu may well have placed a major barrier in the path of those who wouldn’t otherwise have thought twice about moving to live in Israel in the event that the situation in Britain, France, or elsewhere across Europe and beyond becomes untenable. This from someone who, until last month, had invariably supported Netanyahu and argued that he is nothing less than the savior of the Jewish people. 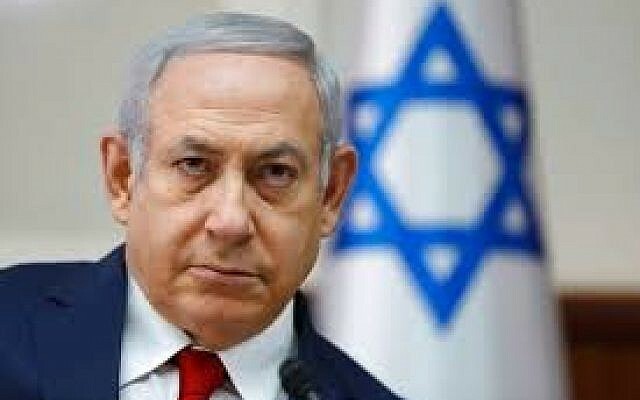 Even the shot across Bibi’s bow fired by AIPAC in response to his alliance seems not to have shaken the PM’s resolve to form a far-right block regardless of the incendiary politics within it. But when power is a drug to which you have become hopelessly addicted, and like the worse addicts your sense of reality and decency evaporates, you’ll ally yourself with the worst people and sell even your beloved grandmother if it yields one more fix. Facing up to the two-pronged prospect of genuine political rivals and the equally genuine threat of criminal indictment, the desperation that permeates every pore of the man who sees himself as the only person who can possibly govern this land is plain to see. His alliance with the Kahana-inspired Otzma Yehudit party should ring massive alarm bells in the mind of decent Likud supporters. Worryingly, Netanyahu’s new political love-in might prove one step too far for some Diaspora Jews who have treasured the insurance policy of being able to come to this land. As was so brutally demonstrated earlier today with yet another Palestinian terror attack on Israel, the last thing this country and international Jewry needs going forward is an even more fractured society when faced with so many external dangers. This far-from-perfect but once vibrant, tolerant democracy, a democracy that broadly respected the rights of all its citizens regardless of race, color or creed, has for so long been a place of which the vast majority of Jews of all political opinions felt proud; one they would be happy to call “home”. Now, in the event that anti-Semitism, anti-Zionism, or anti-Israel sentiments in the UK or anywhere else become an unbearable everyday reality, it may transpire that an increasing number will have no wish to become part of a far-right project laden with card-carrying racists, and may reluctantly feel they have no alternative but to look elsewhere? 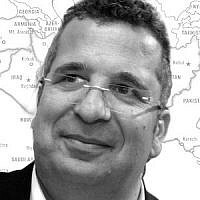 Paul Alster is an Israel-based broadcast journalist with a special interest in the Israel/Palestinian conflict and Middle East politics. He is a regular contributor to a variety of international news websites including The Jerusalem Report, and was formerly FoxNews.com's main Middle East correspondent. He can be followed on Twitter @paul_alster or at www.paulalster.com.